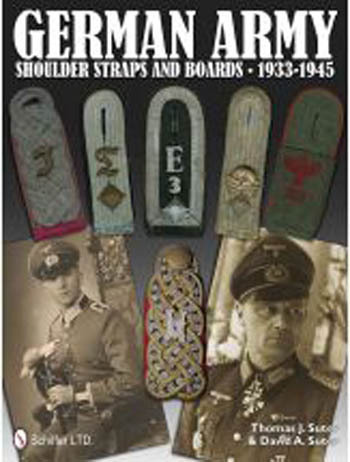 One of the distinguishing features of the World War II German Army uniform is the use of shoulder straps and boards to denote rank, branch of service, and in some cases the assigned unit right down to the company. This heavily illustrated book covers construction methods, material, types and styles of embroidery and metal devices, as well as the identification of branch and unit. Detailed charts are used to identify unit affiliation of Gothic letters, Latin letters, Roman numerals, Arabic numerals, and Symbolic Devices. Containing over 1,000 color photographs of straps and boards, as well as other loose cloth insignia, collar tabs, and tunics to assist the collector or historian in identifying original examples, this book is the definitive reference.